Muutama, our beautifully crafted and architect designed modern cabin. Scandinavian minimal design built to the highest quality housing standards. The timber clad mono pitched building, is in keeping with their Koto Nordic aesthetic. 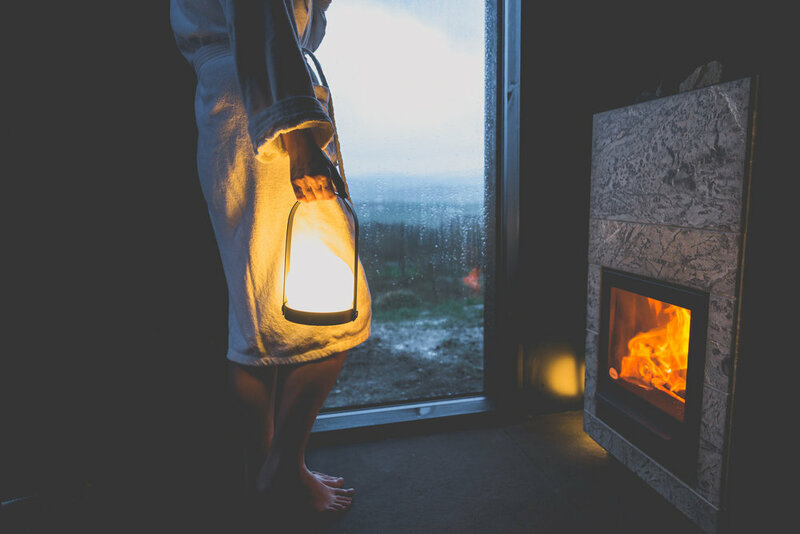 Built to withstand harsh weather, the wood fired sauna provides shelter, warmth, and an opportunity to fully immerse in nature. They are a sculptural interpretation of the small buildings that you see across Europe, from Bothys to Alpine huts and Norwegian Hytte. These small pitched roof buildings are an integral part of the landscape and provide warmth, shelter and an opportunity to fully immerse in nature. That is the heart of the ethos at KOTO. *These services will incur an additional fee.